Rigorous safety standards not only protect valued workers, they also maximize efficiency, and maintain companies’ hard-earned reputations as suppliers and employers. The Nova 3® system has been tested extensively using all conventional safety testing. 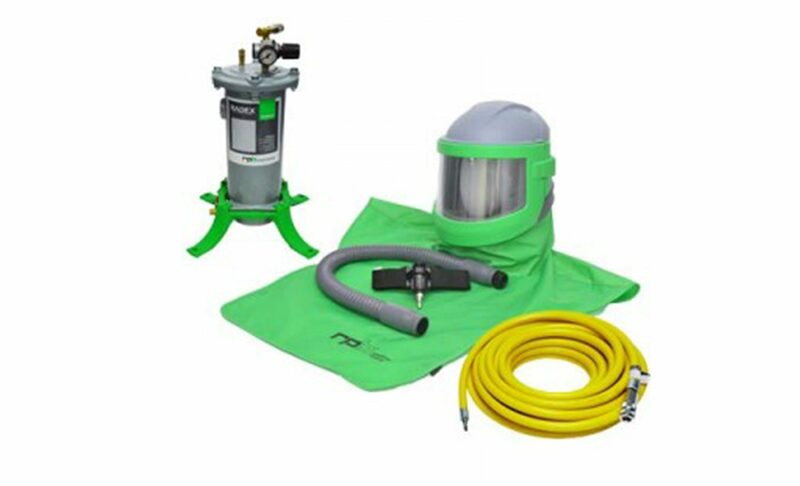 This system meets standards worldwide, including NIOSH, ANSI Z87.1 – 2010+, ANSI Z89.1 – 2012 Type 1 Class C.
The Nova 3 system gets connected to a RADEX Air Filter which then gets connected to your Breathable Grade Air Supply pump or compressor. Certain configurations require the use of a Carbon Monoxide monitoring device as well. The air hose used for these hookups is a special type of hose engineered specifically for carrying breathing air to the operator – it utilizes special dust-free fittings and hose material to ensure only high quality “breathable” air is supplied to the operator. The 03-725 Tear off Lens system is a unique “FIT AND SAVETM” system of pre-folded tabs. This means workers can quickly tear off just one, layered, lens at a time. Contractors have reported a time saving of over 45 minutes a day per blaster using the RPB® “FIT AND SAVETM” system, and a resulting increase in productivity. The Nova 3®’s design and engineering distributes the helmet’s weight evenly across the head and shoulders for optimum comfort, practicality, and ease of worker movement, reducing fatigue. In addition, a ratchet-adjusted neck pad ensures your head is supported. The ingenious, fully adjustable, internal “Clever Fit Padding” allows helmets to be individually customized. This avoids discomfort and irritation, giving workers a clear head even under the pressures of their work. The padding has a second, vital, purpose. 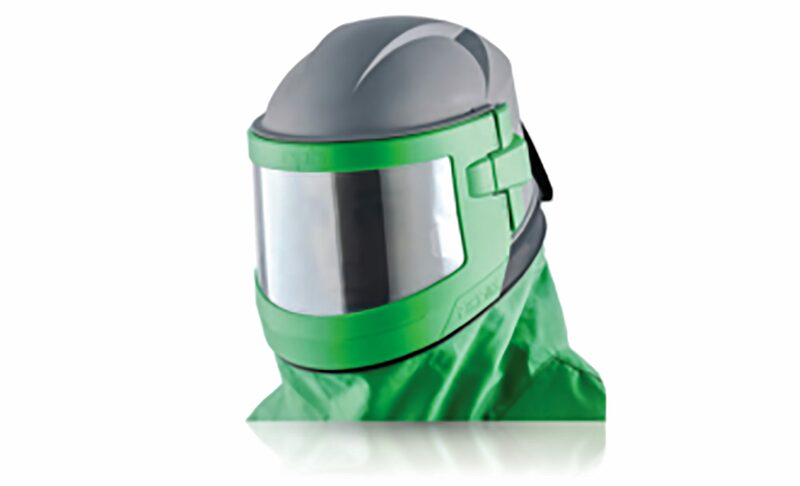 It’s positioned to help absorb sound within the helmet, protecting workers’ hearing. Padding is easily removed, and fully machine washable, making helmets hygienic and pleasant to wear even in the most extreme temperatures. All Nova Systems can be equipped with both cooling tubes and heat tubes to maximize operator comfort. These tubes do require some additional CFM to function properly – if you are unsure if your air supply produces enough air volume give us call so we can help determine this for you. We also stock and supply the replacement lenses used on both the NOVA 3 and NOVA 2000 systems. ADDITIONAL INFORMATION Please contact us for additional PPE information or to place an order..